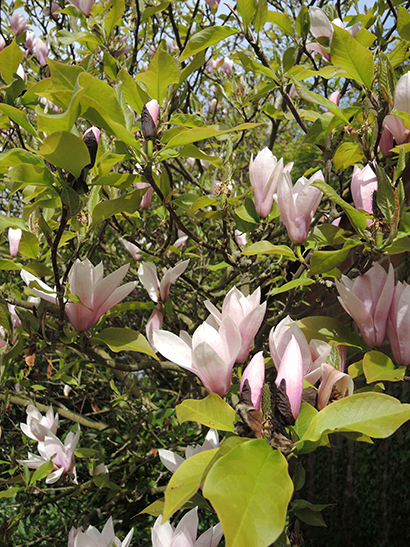 I visited a garden planted with many magnolias by its owner 40 years ago. Here is Magnolia ‘Heaven Scent’ looking lovely on a south westerly facing wall. The flowers on all east facing plants looked noticeably ravaged by early morning frosts. With almost as many years experience, we always site plants where they will perform their best.